The World Cup group stage wrapped up this past week, leaving soccer fans with much to digest. More American viewers tuned in to this World Cup than any one before it, with ratings for the United States's first matches even eclipsing the average ratings from last year's World Series, this year's NBA playoffs and NHL playoffs. With action like this, it is easy to understand why domestic popularity of the beautiful game is at a peak. Additional extraneous factors also contributed to the ratings spike, including the games being broadcast during a reasonable hour for the first time since the United States hosted the tournament in 1994. The previous four tournaments were in South Africa (2010), Germany (2006), South Korea/Japan (2002) and France (1998). This year's Cup has been very unpredictable. More goals were scored in the group stage than the previous world cups. Also, Spain, the defending world champion, was effectively sent home after its first two matches. 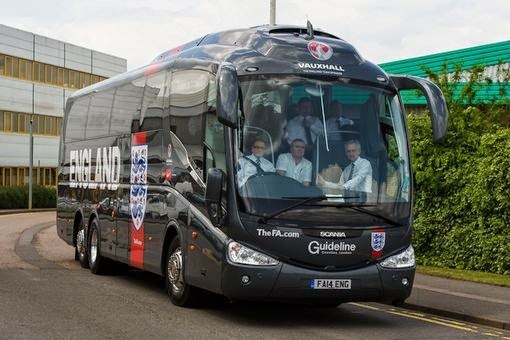 England was also eliminated after its first two games, but no one outside of the United Kingdom was surprised. Anyone interested in a gently used soccer tour van may be able to get a good deal from either team. The biggest surprise may be that three CONCACAF teams qualified for the knock-out stage, which is the most that I can remember ever making it through. Only Honduras failed to make any positive noise. None of the three advancing teams had an easy road either. Costa Rica defied 5000 to 1 odds to win a very difficult Group D by beating Uruguay and Italy and drawing against England. Mexico knew that it was likely fighting for second place in Group A, and secured the spot by drawing against host Brazil, and defeating Cameroon and Croatia. The United States was the last of the three CONCACAF teams to qualify, earning second place in Group G by defeating Ghana in the first game and drawing against Portugal in the second. The 1-0 loss to Germany was as much of a victory as the 2-1 win against Ghana, as it allowed the US to finish ahead of Portugal on goal differential. Uruguay lost its first match to Costa Rica when it was without Suarez. He came back for games two and three to help them win and finish second in the group. 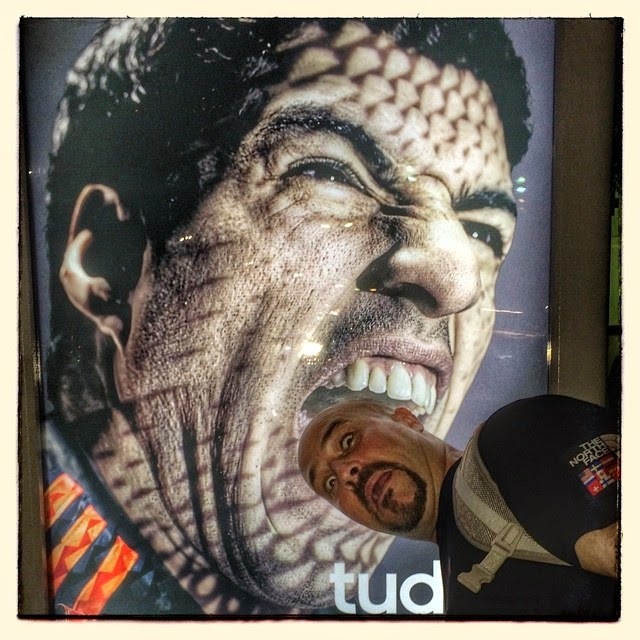 During the last game against Italy, Suarez got hungry and took a bite out of Italian defender Giorgio Chiellini's shoulder. The act would qualify as a battery in any country. 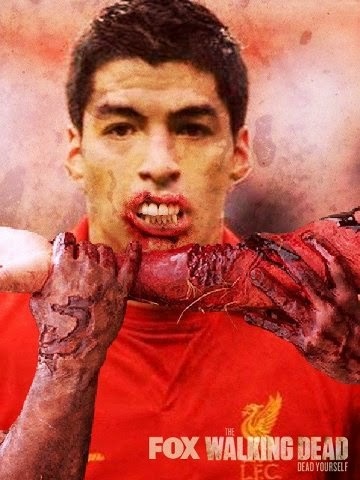 FIFA was not amused and banned the Uruguayan zombie for his third biting offense (yes, he's on number three). Afterwards, fans took to the beach of Copacaban to take selfies with a Suarez banner. In retaliation to this fun, FIFA banned the banner. Fun haters. The ratings spike is further evidence that the game is growing in the US, and American fans are sure to enjoy the next round. Keep in mind that the World Cup group stage and knock-out rounds are like two completely separate tournaments. In the group stage, the teams earn points and accumulate the same to qualify for the knock-out round. Teams certainly control their own destiny, but they can also progress with one good result and a little luck later on down the road. The group stage game strategy has no place in the knock-out round, where it is win and move on, or lose and go home. Each game will have a victor--no more draws, and no more points. Several of the upcoming matches will feature extra-time and dramatic penalty kick finishes. The first set of games from the round of 16 games are this weekend. Here is a preview. Match-up: The host country and winners of Group A will take on the runner-up of Group B. What to look for: For Brazil, Nehmar is hyped as one of the best players in the world, and certainly he is one of the best still in the World Cup. He has typical Brazilian flair, and is individually a very impressive player, but he can not lift Brazil on his own. While Chile does not have an iconic list of stars, they play well together and have been playing an aggressive offensive style. Knowing they have an entire country against them, I look for them to play defensive at the outset, and plan a counter-attacking goal. I would prefer they not change their style at all, and try to put Brazil on their heels. Match-up: Columbia won Group C, while Uruguay finished second in Group D.
What to look for: Columbia is ranked high in the FIFA rankings, but is underrated against this field of teams, getting little press, with the exception of their quality of dancing. Uruguay was flat in their opening match against Costa Rica, but that game was played without Luis Suarez. This match and the next 8 will also be without Suarez. You have to wonder about the team's mentality, as even their coach thinks Suarez's suspension amounts to ousting Uruguay from the World Cup. Look for Diego Forlan to start in Suarez's absence, but unless he can regain his impressive 2010 form, I would look for Columbia to dominate and move on. What to look for: Dutch dominance. Mexico coach Miquel Herrera will be missed after tomorrow's game. He and his team have been entertaining to watch, and it is a shame that Mexico won't progress past the round of 16. Van Gaal's Dutch team is the best team in the competition, and after dismantling Spain, are the favorites to win it all. It will take a strong defensive side to beat the Netherlands, and Mexico isn't it. Expect the Dutch to win 2-0. Match-up: Costa Rica defied logic and odds by winning Group D against the runners up of Group C.
What to look for: Costa Rica is awesome. . . or they are on a great streak of luck. But, then again, Greece barely qualified for the tournament. We may not find out how good either are tomorrow, but I'm banking on a high scoring game ending 3-2 on penalty kicks in favor of the Ticos. I'll write about law on another day when the World Cup is over. Until then, I'm flooding my law blog with soccer posts. Cheers!